This past weekend I was able to get a few good hours of crafting in and I decided to make a few Halloween decoration pieces for our fire mantle. This little Witch's Brew book was inspired by Laura Carson of Artfully Musing. She has created a few of the best tutorials for crafting Halloween items for an Apothecary. Not only are the books amazing, but the potion bottles and skeletons are fantastically creepy. Visit her blog and see the amazing detail of her Apothecary. 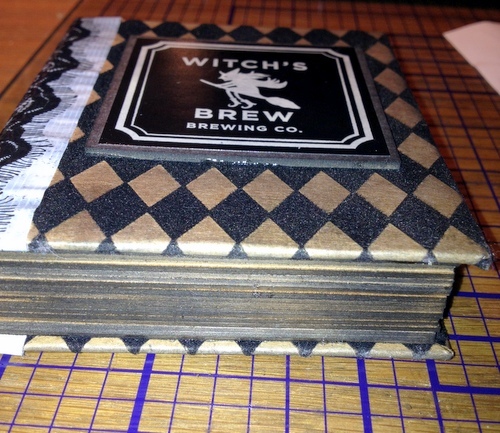 I used last year's Halloween paper to cover chipboard for the covers. 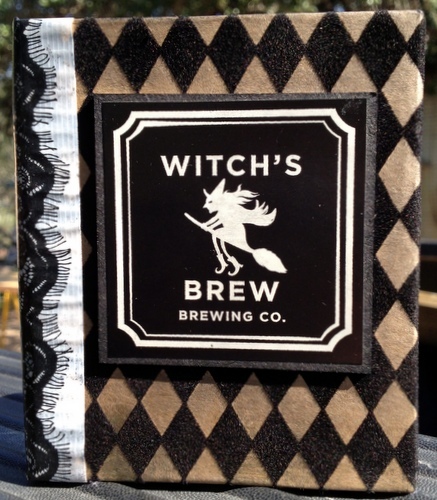 The binding is actually decorative duct tape that my daughter had and the witch's brew sticker is from Marshall's that I picked up a few weeks ago. 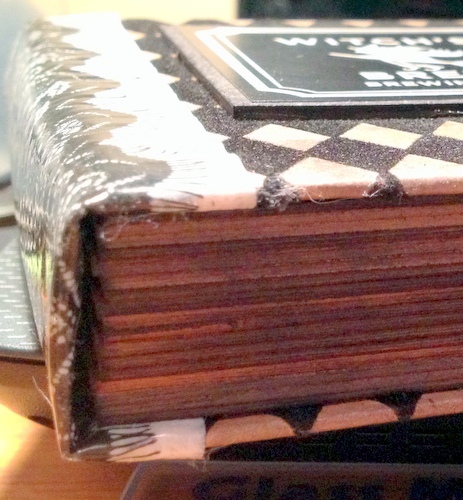 The "pages" are chipboard glued together and distress with Tim Holtz Black Soot distress pad. Hi Carol:) I hope yo uare well and gald you got some crafting time:) The cover is fantastic!! Have a great day!! Carol, this is a fun Halloween decoration. I think this is so clever! Love it! Ohhhhhhhhhhh this is AWESOME!!!!! I loveeeeeeeeee it!! !